The French style of interior is most often found in the design of the living rooms or, at most, the bedrooms. But if you have a fairly spacious bathroom, why not design it in such a luxurious, refined and noble style? Of course, we’ll show you how to do it better and show some wonderful examples – photos of interiors. Here you can afford, if not all, many things: expensive finishing, elegant plumbing, large mirrors and even a chandelier. The main thing is that there is enough space for all this. Ideally, the bathroom should have a window and enough light. 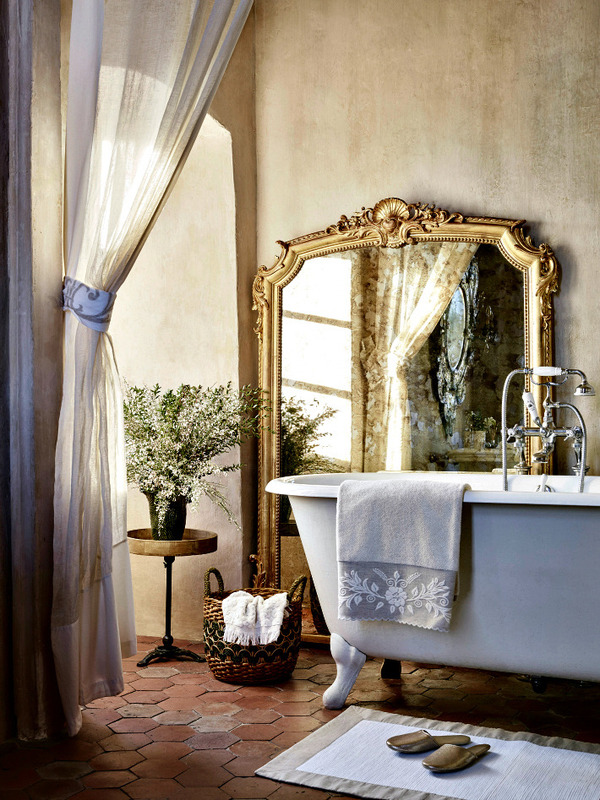 In such conditions, the French style can reveal itself in all beauty, even if it is a bathroom. Like any classic in the interior, the classic French style will not tolerate savings and improbable fakes. French style of interior implies the use of gentle, pastel tones. Classics of the genre are champagne, cream, sand, light gray, ivory. 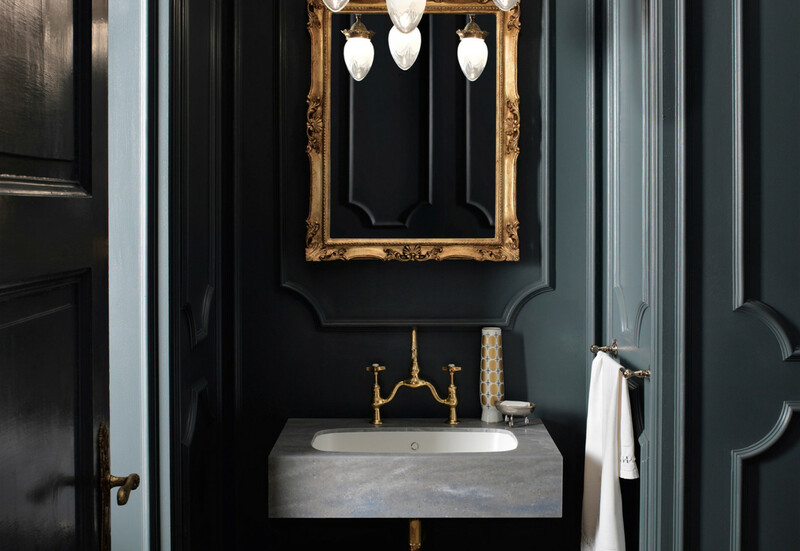 But if you are not afraid to depart from the traditional scenario, you can decorate your French bathroom in brighter (but still pastel) or dark tones (if the lighting scenario allows). That’s where the luxury itself should be. Although, and ostentatious can afford. First of all, it is important to use natural materials. If possible, the walls and the floor can be faced with a stone or a good imitation. Very good here will look granite and marble. If there is no such possibility, then a monochrome ceramic tile will do. Also suitable textured plaster or paint, which is not afraid of moisture. As for the ceiling, it can be decorated with stucco – it will be very appropriate and beautiful. Acrylic corner bath here will look like a foreign body. Of course, you can go “against the system” and choose something more modern, but this is a kind of risk. In general, plumbing in such a bathroom should not be just the equipment, but a beautiful washbasin (can be made of stone), a toilet from the same collection, next to a bidet. We recommend paying attention to even such small things as faucets and faucets. If they match the design (they are made in a vintage style of noble metal, like bronze, copper or brass), they will become a real highlight of the interior, and not just a functional necessity. 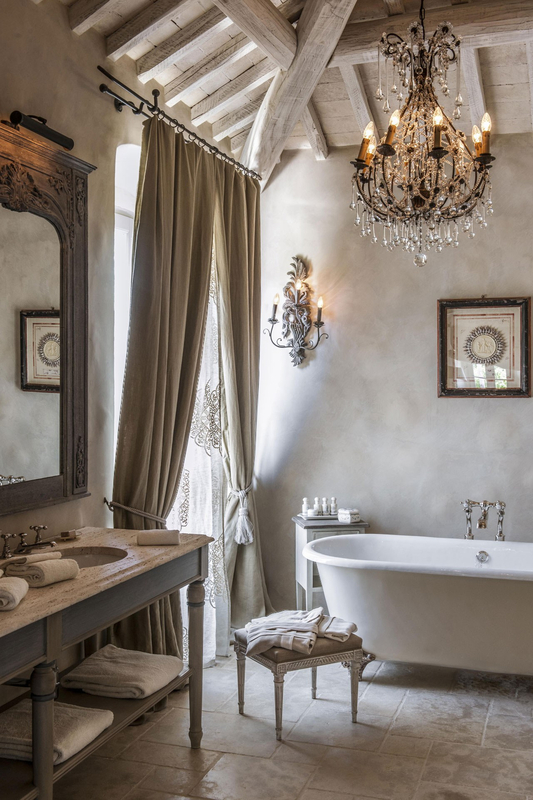 The pearl of the decorative design of the bathroom in the French style, of course, should be a chandelier. In a typical bathroom this occurs infrequently, but here – an indispensable condition. You can also focus on the mirror. It must necessarily be large and framed in a luxurious frame. Perhaps you even want to put an outdoor mirror – it will be just a stunning effect! Also do not be afraid to decorate the walls with paintings – here it is permissible and appropriate. This is the first time I have come across the French style design bathrooms, and I quite like it. These are such an epic design creations. Your decoration technics are super awesome. We will definitely take some design and decor ideas from your Interior designs. Thanks a lot for sharing. This is the first time I have come across the French style design bathrooms, and I quite like it. These are such an epic design creations. Your decoration technics are super awesome. We will definitely take some design and decor ideas from your Interior designs. Thanks a lot for sharing. Best Regards! I love the painting in the first photo ! who is the artist ?